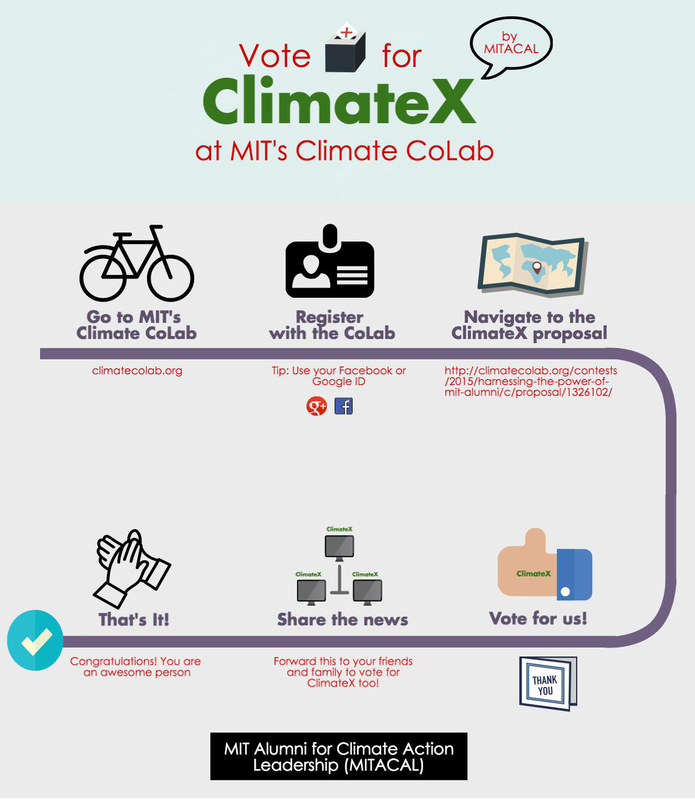 Last week MITACAL’s (MIT Alumni for Climate Action Leadership’s) ClimateX proposal was selected as a finalist! Now we need your help to win the Popular Choice Award! Going go to Harnessing the power of MIT alumni 2016 by Team MITACAL, ClimateX. Please tell your climate-conscious friends – you don’t have to be an MIT alum to vote! Also, share our Twitter, Facebook, and LinkedIn posts with your networks.